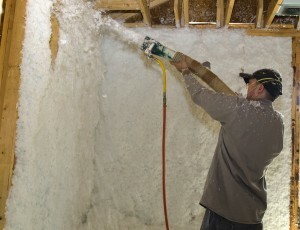 When you need insulation contractors to take care of insulating your home in the Huntsville, Alabama, area, don’t just hand the project off to any insulation company. Put your trust in the expert team from 31-W Insulation to make sure your house is properly insulated for the greatest benefits. We’ve been insulating homes throughout the Southeast since 1972, and because we want to make sure we offer the best customer experience around, we continue to perfect our process to this day. When you hire our contractors to replace the insulation in your home, you’ll be able to enjoy the many benefits that reinsulating can offer. Because any old insulation that might be damp or rotting is removed, the chances of mold growing in your walls may be greatly reduced. And, since your HVAC system won’t need to strain to keep a consistently comfortable temperature in your home, you may see a significant reduction in your monthly energy bill. If you live in Huntsville, Alabama, and would like to find out more about our insulation contractors, contact 31-W Insulation today.